It's estimated that between 30 and 50 million Americans suffer from lactose intolerance, which a condition caused by a lack of the enzyme known as lactase. Lactase is normally found in your small intestine, and its main function is to help your body digest lactose. A lack of lactase leads to water retention in your bowel, which causes diarrhea. You may also experience gas, bloating, and cramping. These symptoms normally appear between 30 minutes and two hours after ingesting lactose. 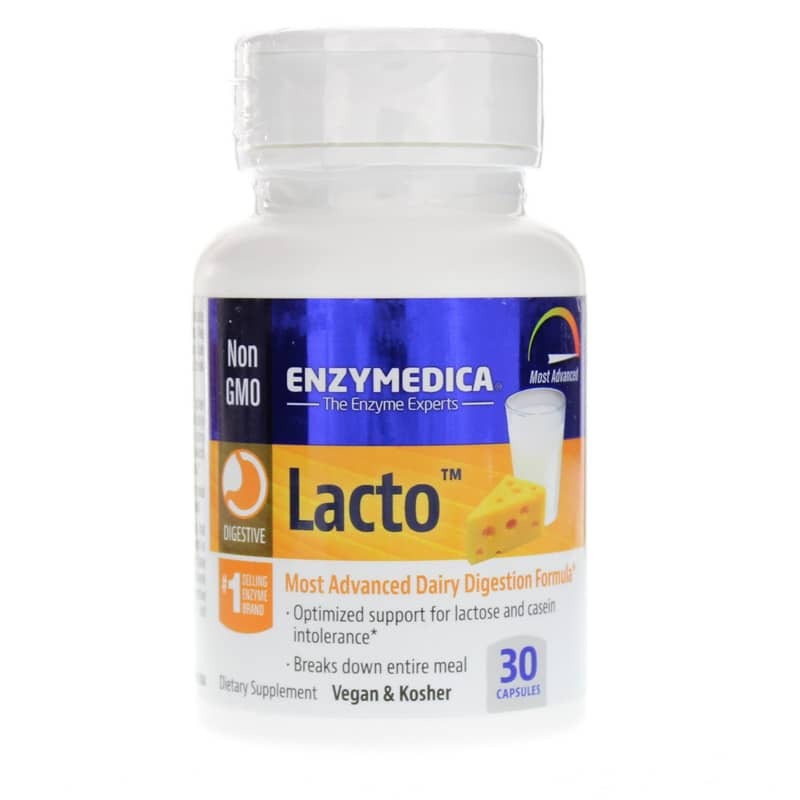 Lacto from Enzymedica provides the digestive enzymes your body needs for the digestion of dairy sugar (lactose), as well as dairy protein, fats, fiber, meat protein, and carbohydrates. 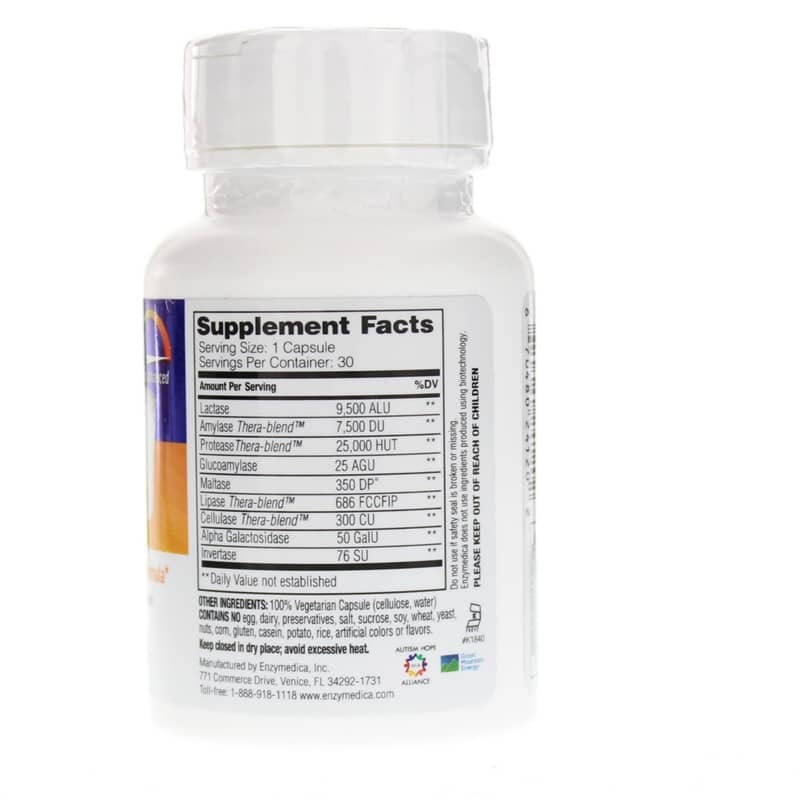 Enzymedica's Lacto is formulated without the use of added fillers, and contains absolutely no egg, dairy, preservatives, salt, sucrose, soy, wheat, yeast, nuts, corn, gluten, casein, potato rice, or artificial colors or flavors. It's a truly healthy way to improved dairy digestion. Make the choice to support your digestive health. Give Lacto from Enzymedica a try, and stay on the natural pathway to optimal overall health and wellness. Contains NO: egg, dairy, preservatives, salt, sucrose, soy, wheat, yeast, nuts, corn, gluten, casein, potato, rice, artificial colors or flavors. No fillers added. Adults: 1 capsule with each meal containing dairy. More may be taken as needed. Sometimes, on special occasions I'll indulge and then regret it! The Lacto really helps & I don't have that irritataion afterwards. I like to keep it at home, too, for visiting family who may benefit from it. 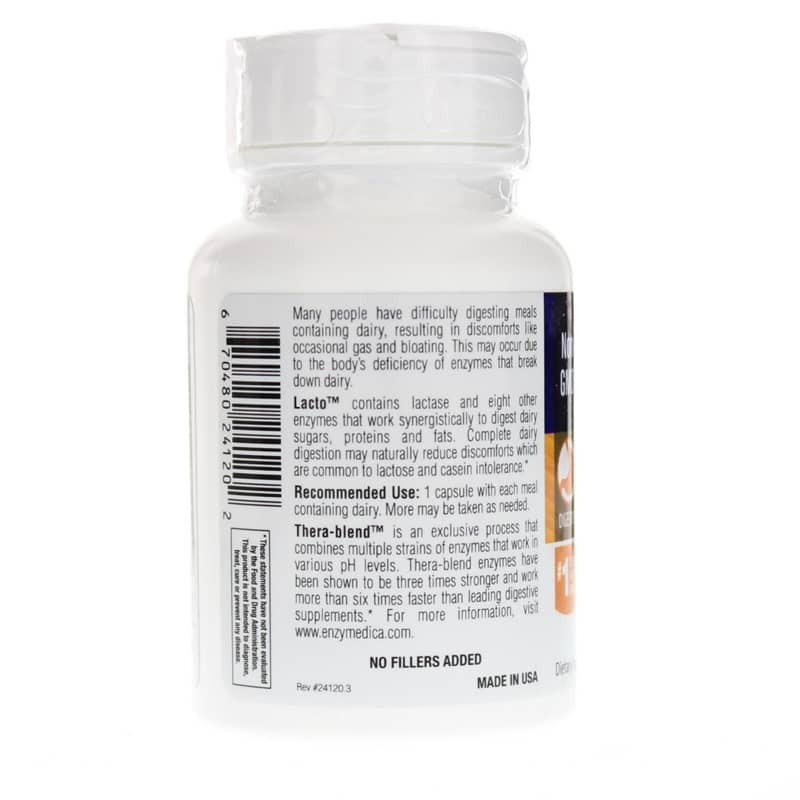 take this along with my regular digestive enzymes and it helps with occasional irritations.